Charles and Laura are a young, happily married couple inhabiting the privileged world of Cambridge academia. Brimming with excitement, Charles sets off with his daughter Naomi on a Christmas Eve shopping trip to London. But, by the end of the day, all Charles and his wife have left are cups of tea and police sympathy. For Naomi, their beautiful, angelic only child, has disappeared. Days later her murdered body is discovered. 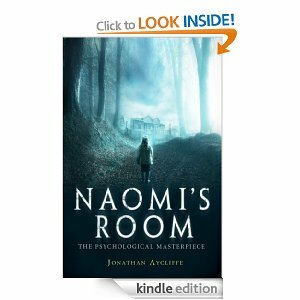 In a howling, bumping story of past and present day hell, Jonathan Aycliffe‘s haunting psychological masterpiece is guaranteed to make you sink to untold depths of teeth-shaking terror. A dark and sinister tale that will definitely give you the creeps. When a Cambridge Don’s daughter goes missing in London in the ’70s, his world falls apart. Her body is discovered not long after and sinister events follow. This atmospheric horror is a compelling read but I found once I knew what the secrets were as if it was a bit of an anticlimax. I cannot fault the creepiness or chills I encountered reading this though. Not particularly graphic compared to what’s available to read in the mainstream these days. Not for the faint hearted or for those who spook easily.